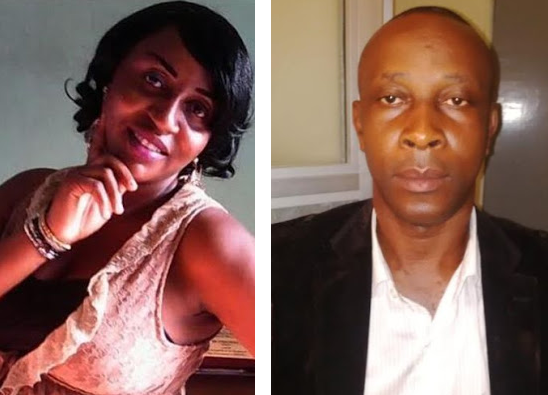 A man identified as Mr. Celestine Chikeie Ogazie and wife Mrss Anthonia (nee Fagbamigbe) have been declared wanted by the Nigeria Police Force after allegedly absconding with the sum of Five Million naira (N5,000,000.00) belonging to Berrymart Integrated Services which they worked for in Lagos... According to reports, the suspect conspired with his wife to commit the crime. MR. CELESTINE CHIKEZIE OGAZIE WANTED BY THE NIGERIA POLICE FORCE, OFFICE OF THE DEPUTY COMMISSIONER OF POLICE, STATE CRIMINAL INVESTIGATION AND INTELLIGENCE DEPARTMENT (SCIID), PANTI, YABA, LAGOS. The pictured and above named Person is hereby declared wanted by the Nigeria Police Force. A warrant of arrest has been duly obtained against this person. He is wanted for the offence of Criminal Breach of Trust, Theft by Servant, Fraud and Joint Act committed between April and June 2017 at Port Harcourt. The suspect being an employee of Berrymart Integrated Services in Lagos committed the offence through false representation and deceit. He absconded with the sum of Five Million naira (N5,000,000.00) belonging to the company. He is Igbo by tribe and married to Mrs. Anthonia Fagbamigbe (Co-consiprator). Places Frequented: Lagos, Aba, Onitsha, Port Harcourt. A handsome reward awaits any person(s) with information that leads to his arrest.